Lionel Ball served as a London City Missionary most of his working life. A whole generation of London City Missionaries are grateful to God for the encouragement given to them by him. Even today, some years after his retirement, missionaries regularly meet people who ask, Do you remember Lionel Ball? Through his chaplaincy with the police, he was so highly regarded that he was appointed a Freeman of the City of London. This meant that he could drive sheep across London Bridge without paying. There is no record of him ever taking advantage of the privilege. Instead Lionel was to undertake a different sort of shepherding The key place he worked was at the Covent Garden Mission but Lionel was also involved in mission activity in the London theatres. Blessed with a fine voice, and himself a gifted pianist, he related well to performers and won their confidence and love. There are many who can trace their early Christian influence back to Lionel Ball. 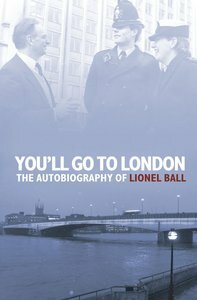 About "You'll Go to London"
Lionel Ball has spents years gaining the respect of Londoners through his work with the London City Mission. Through his chaplaincy with the police he was granted freedom of the city.